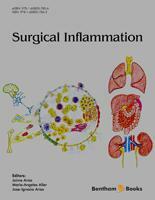 I am delighted to write an introduction to this new volume "Inflammation-related Surgery" which covers information in all its forms including new developments in the exciting area of stem cells. The healing of surgical wounds has always been of central importance to surgeons and even more especially to their patients. There have been many advances in our understanding of various forms of inflammation and many of these features are relevant to surgical research and clinical surgery. This volume discusses the basic science relating to wound care and injury and should be of interest to all academic surgeons. I wish the authors every success with this magnum opus. This eBook aims at offering an integrated point-of-view about the inflammatory response related to injuries, infections and tumors. This integration is made by considering that the multiple pathophysiological mechanisms making up inflammation represent the re-expression of ontogenic mechanisms during early embryo development as well as the recapitulation of ancestral phylogenetic mechanisms. The many publications about inflammation have made it difficult for us to reference all of them in detail, even though some could be considered fundamental for our paper. We would like to apologize to the authors for this limitation. We would like to thank all those people whose talents and time made this eBook a reality. We would like to thank Maria Elena Vicente for preparing the manuscript, Elizabeth Mascola for translating it into English, Pedro Cuesta and Santiago Cano, from the Complutense University Computer Unit for Teaching and Research Supporting and the librarians of the Complutense University Medical School particularly the Director Javier de Jorge, Sub-director Manuela Crego and Maria Jose Valdemoro. This eBook was supported, in part, by grants from Mutua Madrileña Research Foundation (Ref. n° PA 3077/2008 and AP5966/2009), MICINN PSI2010-19348 and with the special collaboration of the INEUROPA (Instituto de Neurociencias del Principado de Asturias).